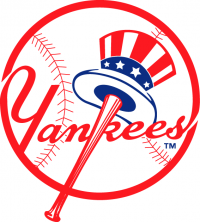 YES Sun 4/21 10 Day Injury List Out (Shoulder) ‑ Severino has been placed on the 10-day injured list while he receives treatment for inflammation in his right rotator cuff and a Grade 2 lat strain. He is not expected to return until the second half of the season. Luis Severino daily MLB projections and fantasy value for probable starts in next 7-10 days. Luis Severino daily fantasy baseball projections for DFS sites such as DraftKings and FanDuel. Luis Severino stats and 5x5 fantasy value from 2010-2018. Luis Severino 2018 fantasy value by month for 5x5 leagues.